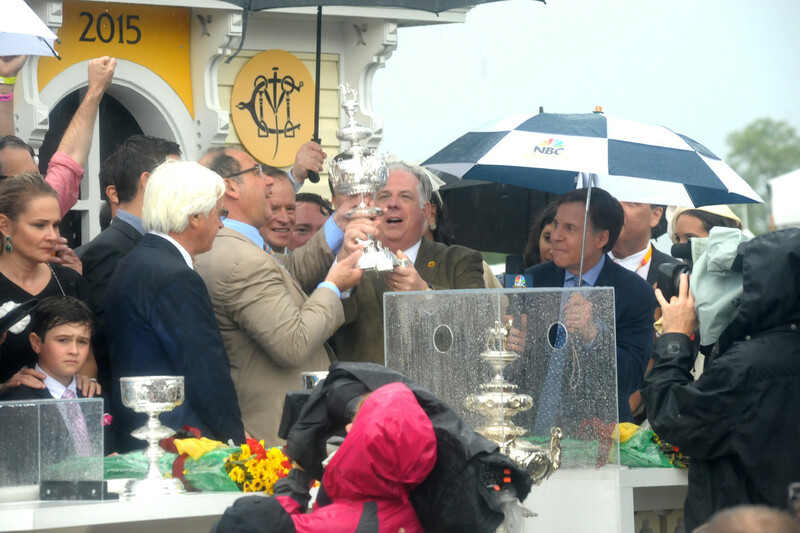 The Stronach Group, which owns Maryland’s two thoroughbred one-mile tracks, is making noise about moving the crown jewel of Free State racing, the Preakness Stakes, to Laurel Race Course. It’s a non-starter — and the Stronach folks probably know it. Legally such a move can’t take place without General Assembly approval, which won’t happen. From a racing standpoint, owner Frank Stronach would have to be brain-dead to transplant the Preakness. All the fabled history would be lost. Laurel races couldn’t be compared with the 140 past Preakness performances at Pimlico. Different track, different racing surface, different times for traversing the same mile and three-sixteenths length of the race. It’s an isolated, suburban site where families are more interested in their kids’ soccer games than a horse race. No one can walk to the track, or catch a bus, easily. Few folks from the Baltimore region would bother to make the long trek. A Laurel Preakness would diminish the prestige and currency of racing’s Triple Crown, thus devaluing Stronach’s Maryland holdings. It also would be perceived as a huge slap at Baltimore just when the city is trying to recover from April’s civil unrest and the black eye it received nationally and internationally. The bitterness from such a move would be harsh and unforgiving. On paper, consolidating Maryland thoroughbred racing at one track might appear a no-brainer, but it isn’t once you start peeling back the multi-layers of reality. What the Stronach folks really want — given the fact a one-track racing schedule is illegal and probably a long-term money-loser — is concessions from Baltimore City and the state of Maryland to offset the two tracks’ operating losses, estimated at $5 million to $8 million annually. There are a number of ways politicians could provide the track owner with financial help. The state legislature, for instance, could revise the division of slots revenues slightly to allocate up to $10 million annually if the Stronach Group holds a spring-summer meet at an upgraded Pimlico and also improves Laurel. The state already guarantees each of Maryland’s two standardbred tracks $1.2 million a year for just 40 days of racing. The money comes out of the slots revenue designated for harness-racing purses at Rosecroft and Ocean Downs. Stronach’s thoroughbred tracks are expected to receive nearly $46 million in slots revenue for purse awards in fiscal 2017 and close to $50 million by 2020. Surely the law could be amended to let the tracks apply for a subsidy from that account to offset operating losses. Both the state and city also could work with the Stronach Group to float inexpensive bonds for some of the improvements at Pimlico. Baltimore City, which already is giving over $100 million in tax breaks and another $300 million in public subsidies to developers of Harbor Point downtown, might consider offering a similar but smaller package of infrastructure improvements and long-term tax rebates if the Stronach Group turns Pimlico into a redeveloped, multi-entertainment center. While Frank Stronach has dragged his feet in putting dollars into his Maryland tracks, he has been a good corporate citizen, even footing the bill for an expensive machine tool-and-dye training school south of the Pimlico track that taught inner-city residents the skills needed to secure good-paying, in-demand jobs. Thanks to millions in slots revenue designated for future race track improvements, Maryland already has signaled its willingness to help revitalize thoroughbred racing. Now state and city officials need to seal the deal in a way that ensures Pimlico’s future and offers hundreds of new jobs in the depressed community that lies to the historic track’s south and west.